We hope you enjoyed the World War I Daybook! 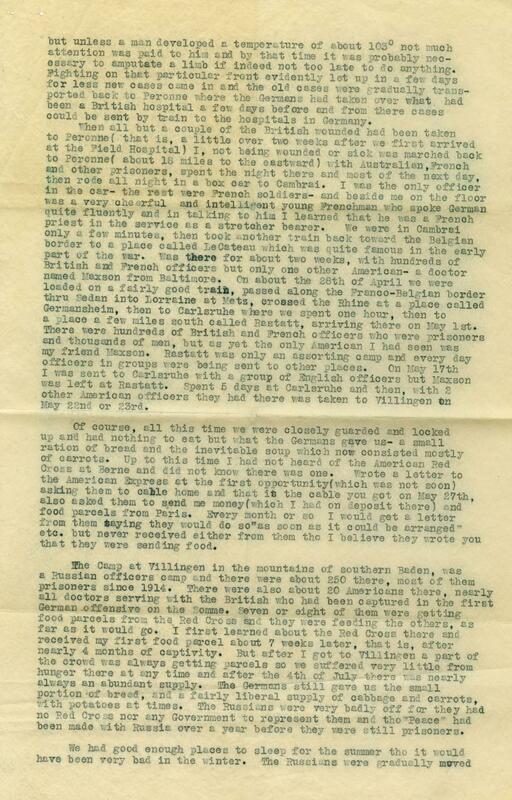 For more World War I materials check out the Minnesota Digital Newspaper Hub and the digitized artifacts on Collections Online. 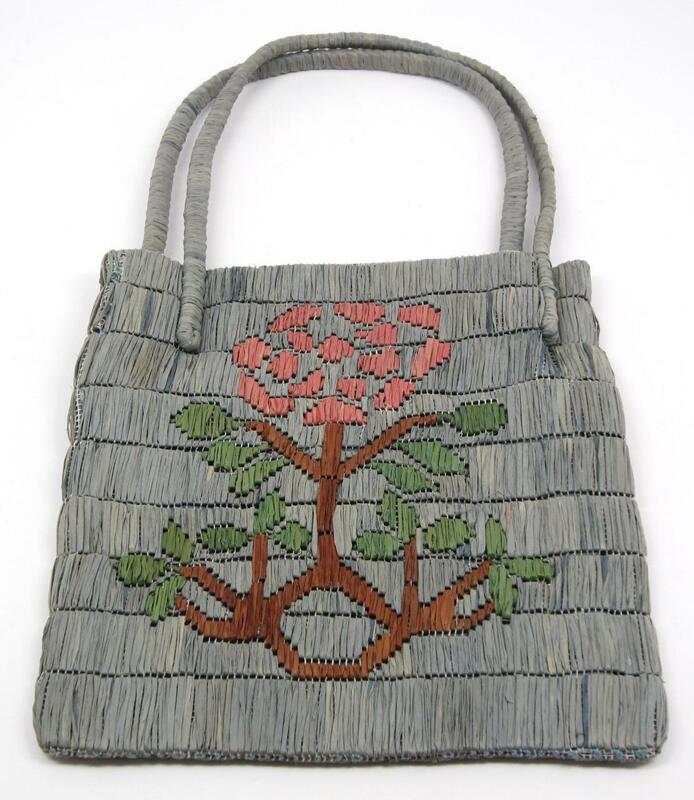 Occupational therapy was a common treatment for wounded soldiers returning home from World War I. MNHS houses numerous items created at the United States General Hospital #29 located at Fort Snelling. 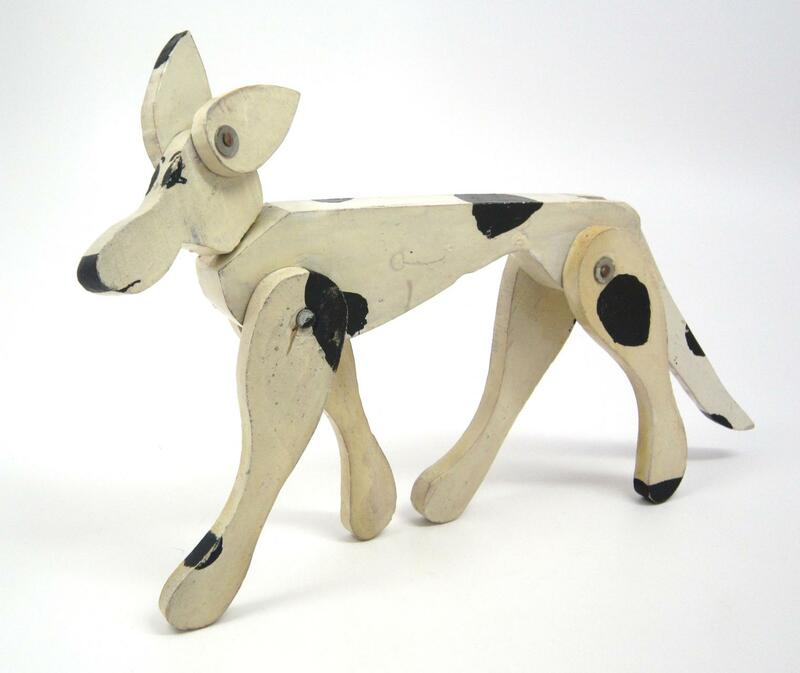 Toy dog made of painted wood with movable limbs, tail, ears, and head. Maker unknown. Hammered brass cufflinks made by V.C. 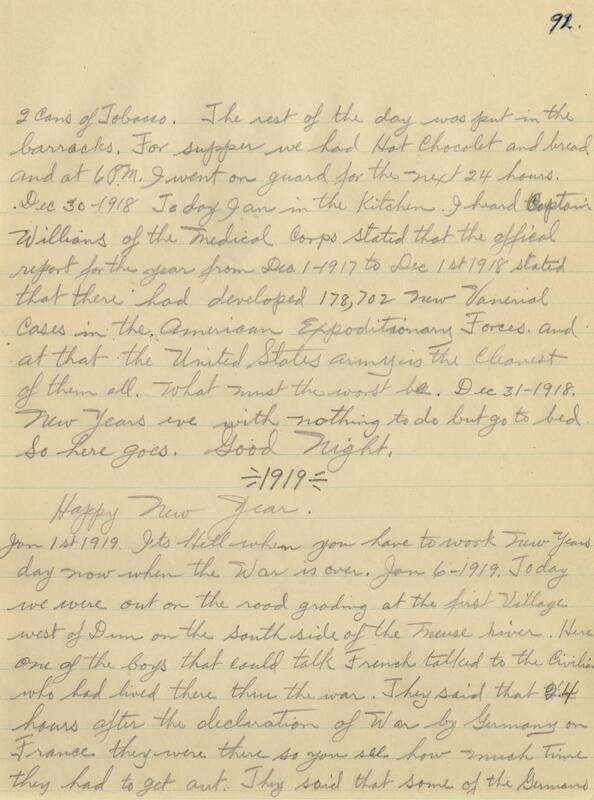 Parsons of the US Army 108th Ambulance Train, Company D.
This letter from Bernard Gallagher, written on January 12, 1919, details the events that occurred while he was a prisoner in a German POW camp. 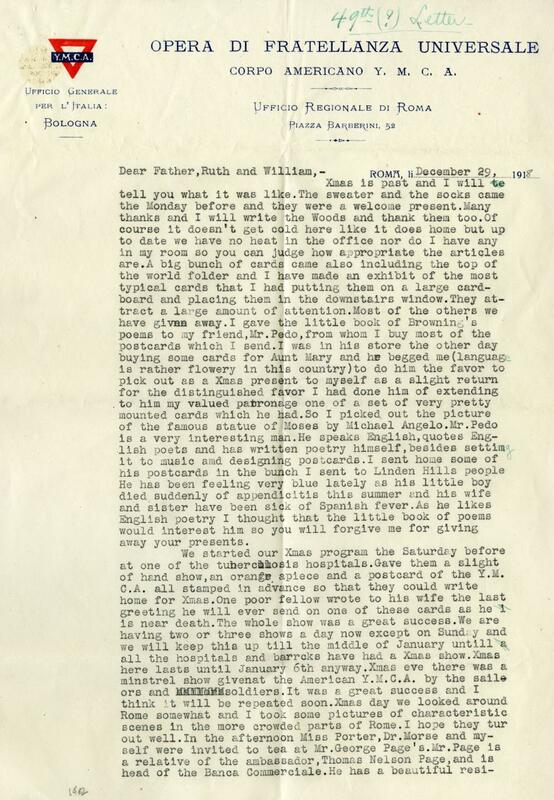 Even though he had been released in November, Gallagher explains he waited until this date to write about his experiences because he was "so steeped in the bitterness and depression which that experience brings upon nearly everyone who goes thru it, that it was impossible for me to write about it in anything like a sane manner." 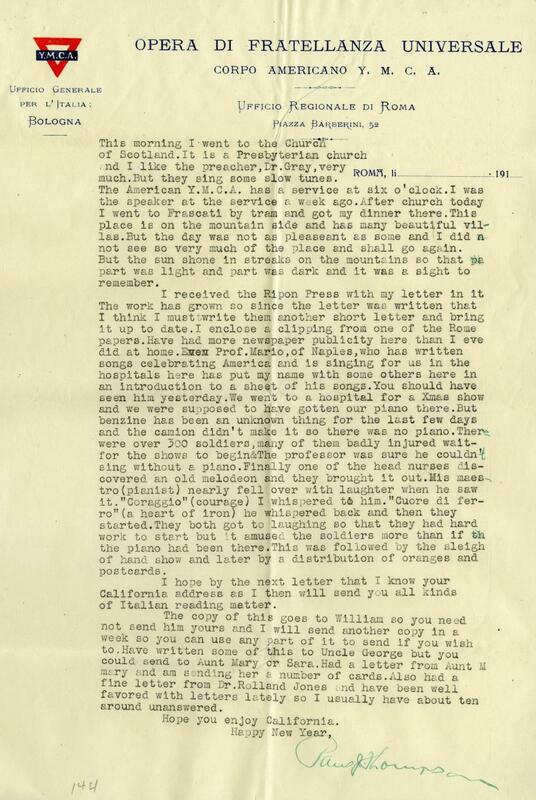 This letter provides eye opening first hand accounts of what Gallagher saw and experienced behind enemy lines. The German army had dirty, understaffed medical facilities that caused most of the men to develop infections. Very little food was provided, and what was offered was generally moldy. 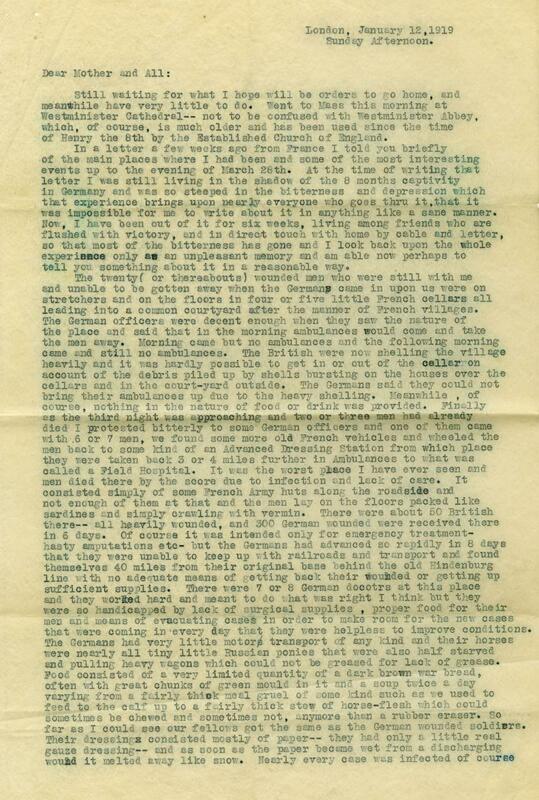 The horses that Gallagher saw were very skinny and he notes that the Germans lacked supplies overall in almost every department. 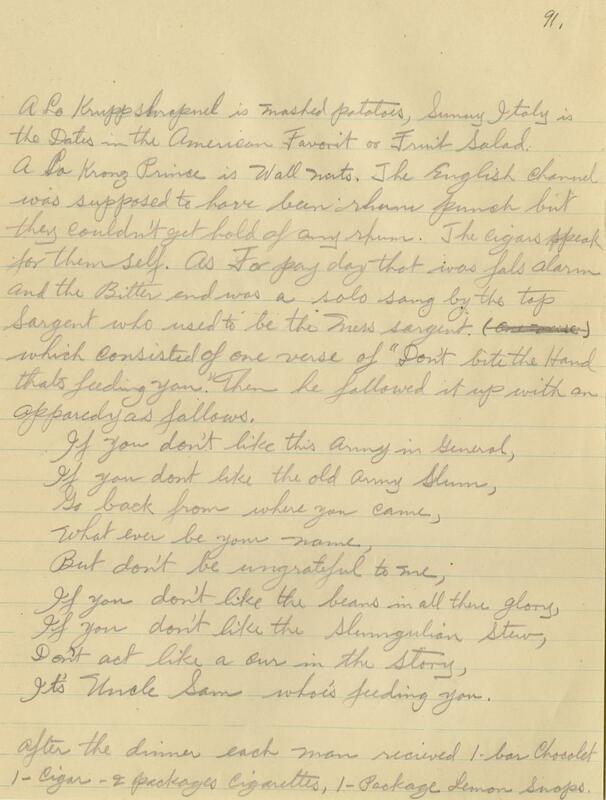 By the end of the letter, Gallagher comments, "A gun for me next time, if I must go to war." This letter from Paul Thompson, a Y.M.C.A. secretary stationed in Rome, describes the shows he and the other secretaries put on for the wounded soldiers over Christmas. The group travelled to different hospitals performing and provided patients with a letter that had a postage already on it so that it could be sent home. 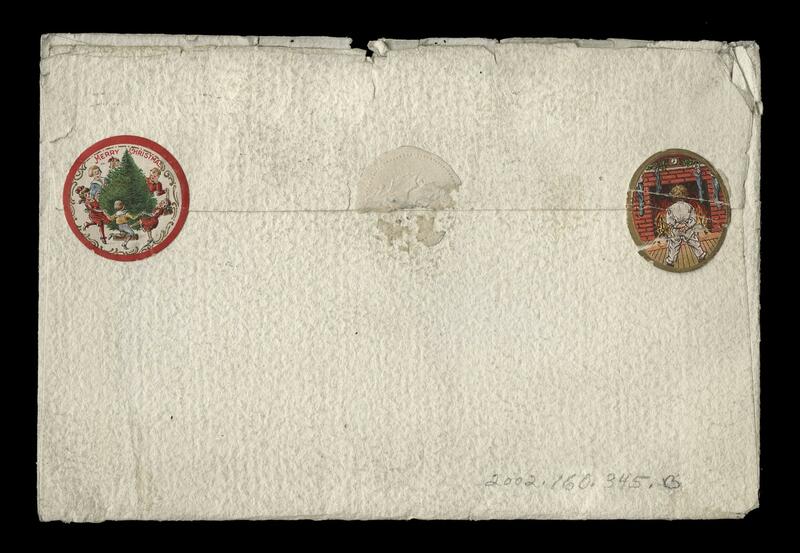 Thompson writes that one man who was close to death would use this postage Christmas present from them to write his last words to his wife. 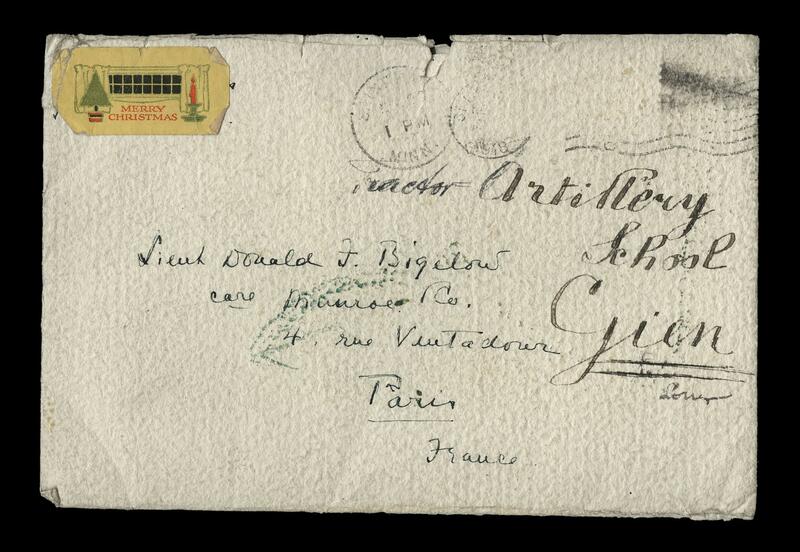 Along with this letter it also includes a document titled "The Work of the American Y.M.C.A. in Rome with the Italian Army." 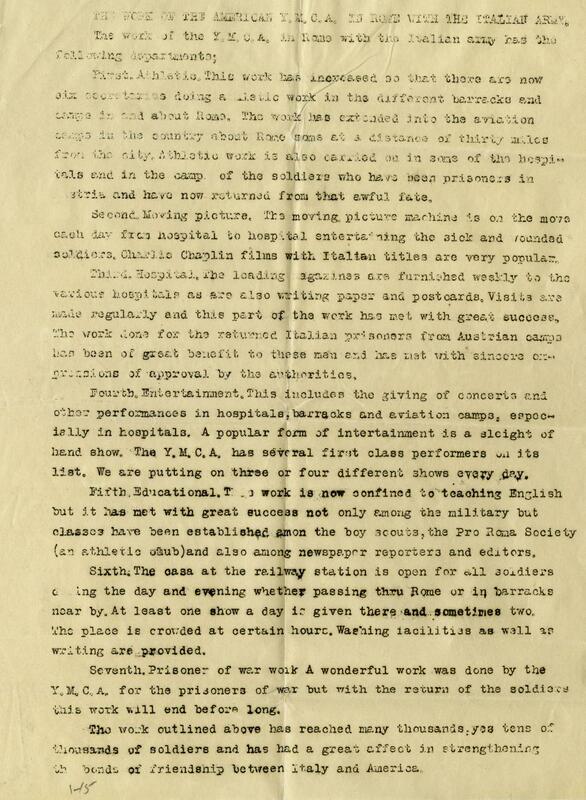 It is a copy of the letter that was sent to the Ripon Press and lists some of the jobs/accomplishments of the Y.M.C.A. in Rome. 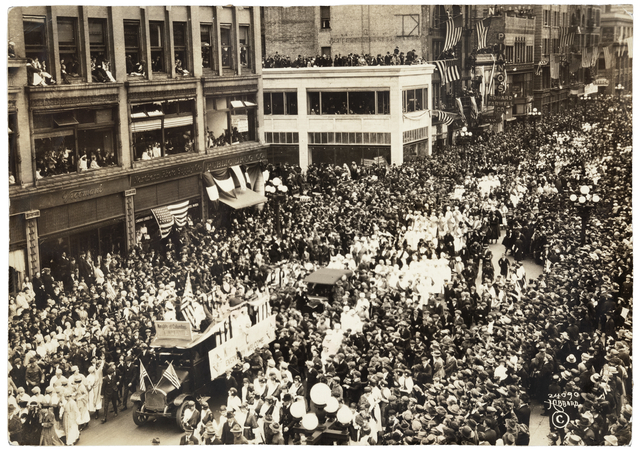 In Thompson's opinion, these accomplishments strengthen "the bonds of friendship between Italy and America." 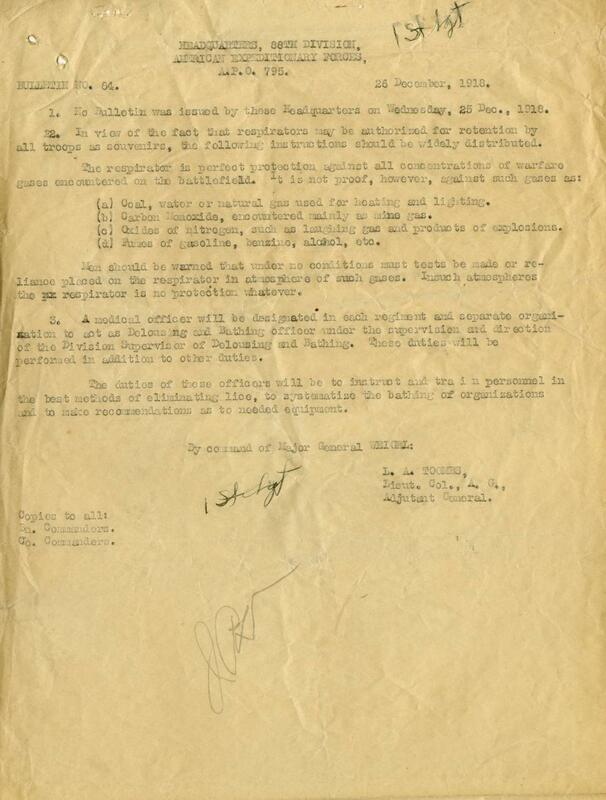 This bulletin was sent out by the Headquarters of the 88th Division on this date to inform discharged soldiers that gas masks authorized as souvenirs are designed towards gases used in warfare, not gases found in civilian life such as natural gas, carbon monoxide, or gasoline fumes. Discharged soldiers with these masks should take caution if they decide to use them as more than a souvenir. The bulletin also announces that medical officers will be designated as Delousing and Bathing Officers. The medical officers designated to this new position would have been in charge of ridding the men of any lice that may be on them, their clothes or their bedding. Lice carry disease, specifically typhus and trench fever which reached epidemic levels in the trenches throughout this war. It was easily spread because of the close proximity of all the men. (a) Coal, water or natural gas used for heating and lighting. (b) Carbon Monoxide, encountered mainly as mine gas. (c) Oxides of nitrogen, such as laughing gas and products of explosions. 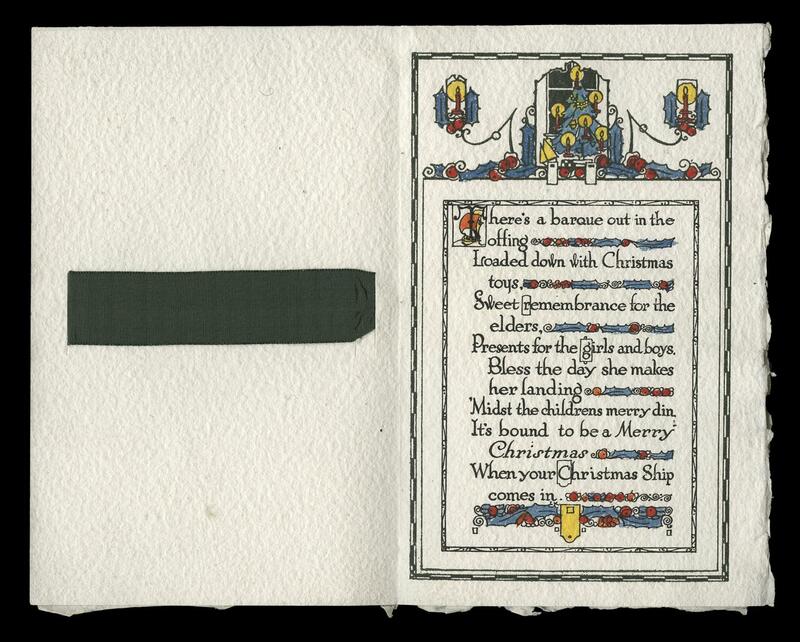 This decorative Christmas card with the original envelope is addressed to Lieutenant Donald F. Bigelow in Paris France, 1918. Bigelow was from Saint Paul, Minnesota. 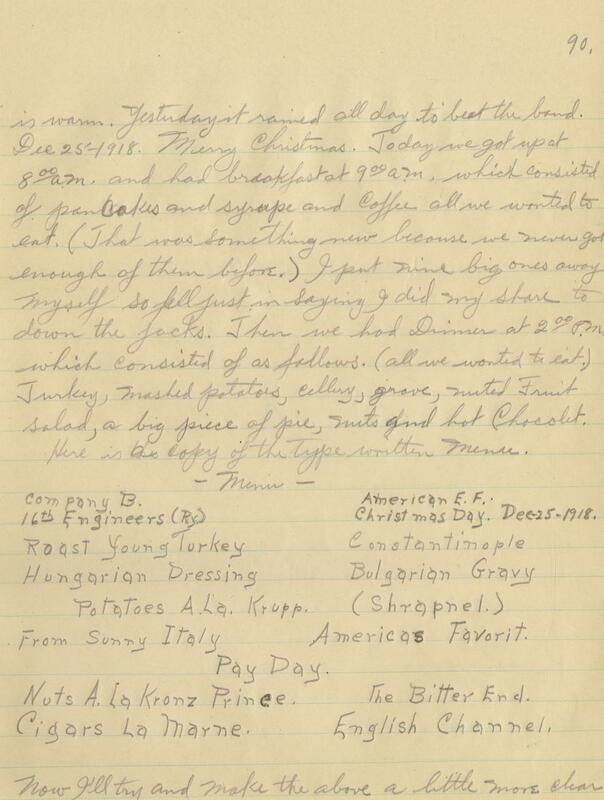 Victor Johnson describes a very luxurious feast that he and the other soldiers were given for the Christmas holiday. They were given exactly what they had requested to eat for breakfast and for dinner. After they had finished their dinner meal, each of the men also received a bar of chocolate, a cigar, 2 packages of cigarettes, a package of lemon snops (sic), and two cans of tobacco. 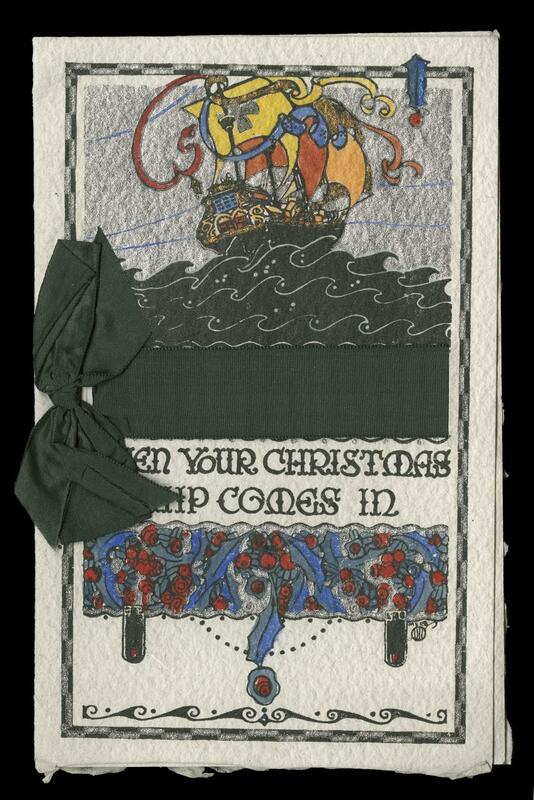 The dinner and gifts had been just what Johnson had wanted and needed. He seemed to be very excited and thankful for the feast since he went on to write out a menu diagram, as well as listing off everything that he had eaten. After the celebrations it was back to work as usual. 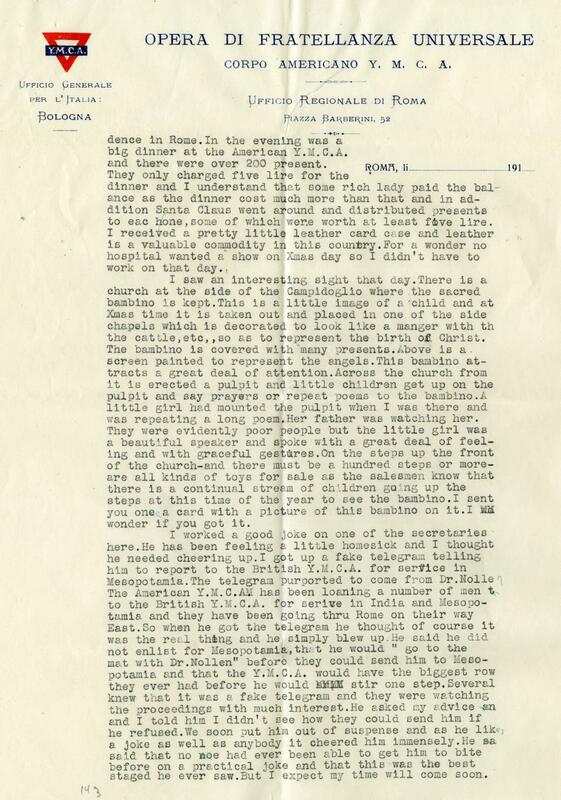 Johnson writes that after supper he “went on guard for the next 24 hours”. 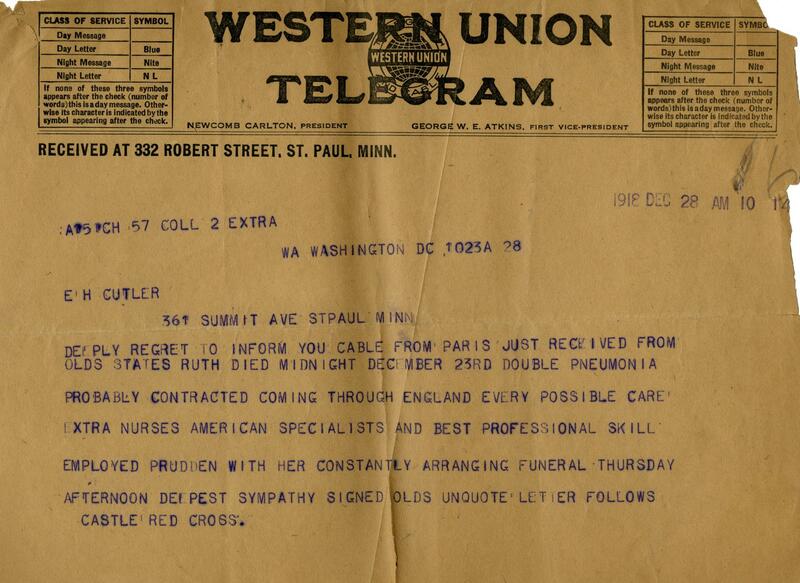 Ruth Cutler was an American Red Cross nurse in France throughout WW1. She died of an pneumonia, complications of Influenza on this date in Paris, France. 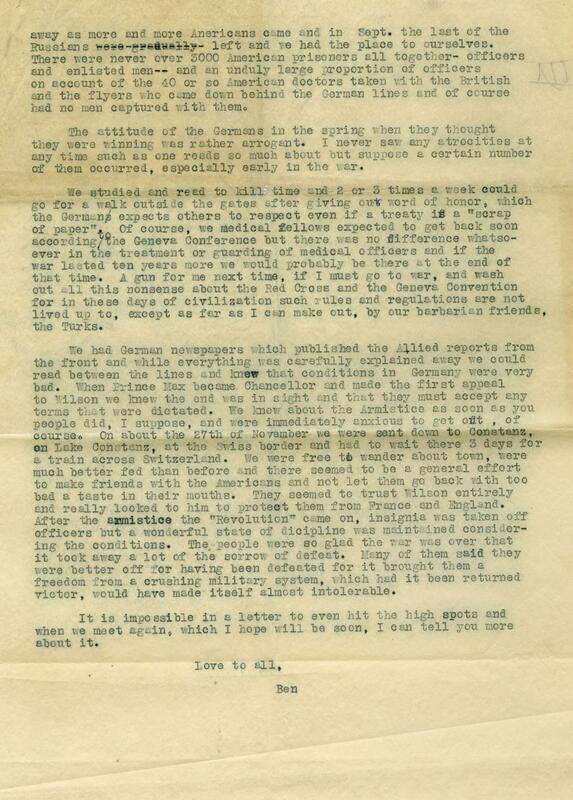 Her family received a telegram 5 days later on December 28th, 1918 telling them of their daughter's death. 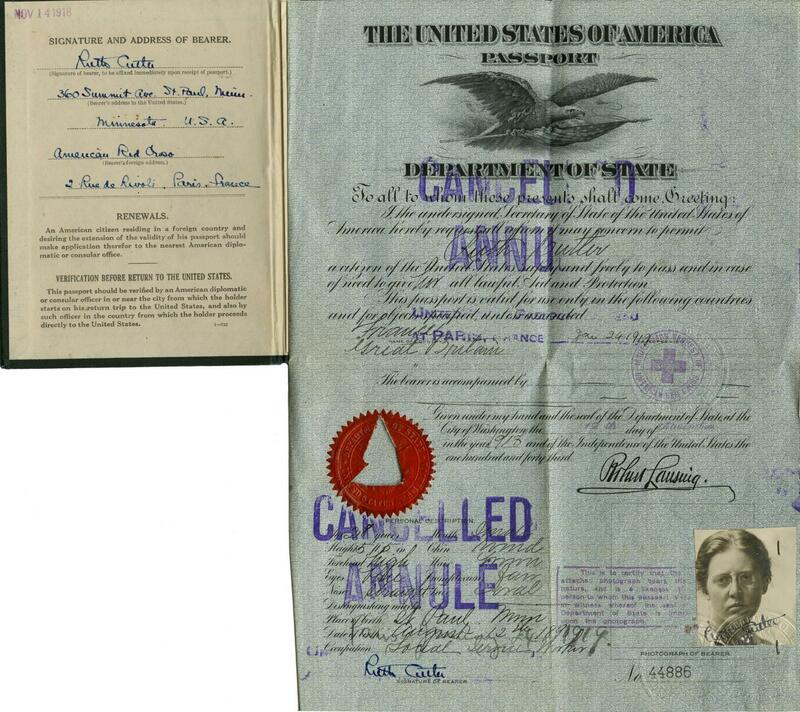 This post also includes Cutler's passport, which was stamped "Cancelled" on January 24, 1919, after her death.